In case you haven’t been paying attention, April is a big month for our bookshelves. But we’re looking past the series we already know and love and the small-town romances that we can expect to sweep us off our feets. 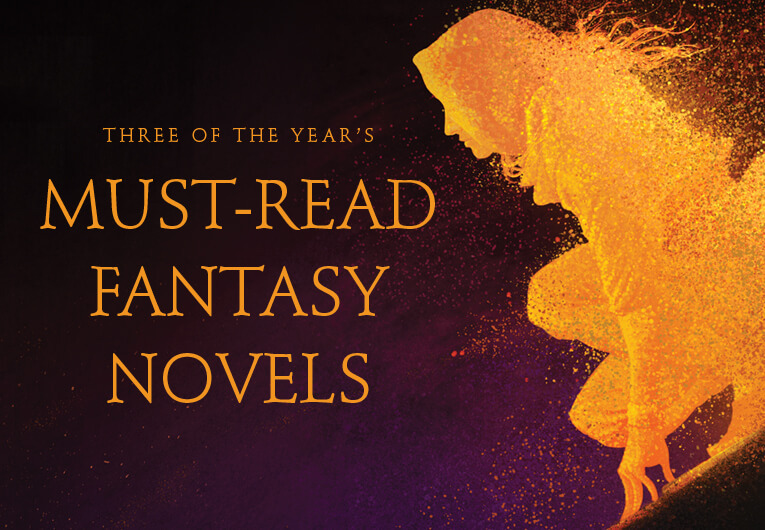 Because April is bringing us not one, not two, but three of the year’s must-read new fantasy novels. All debuts, all epic, all giving us reasons to keep countdowns on our phones because we can’t freaking wait for them to go out into the world. Those three books, for those interested, are The Tiger at Midnight, Descendant of the Crane, and Wicked Saints. If you’ve heard of them, then you probably know why we’re so excited. 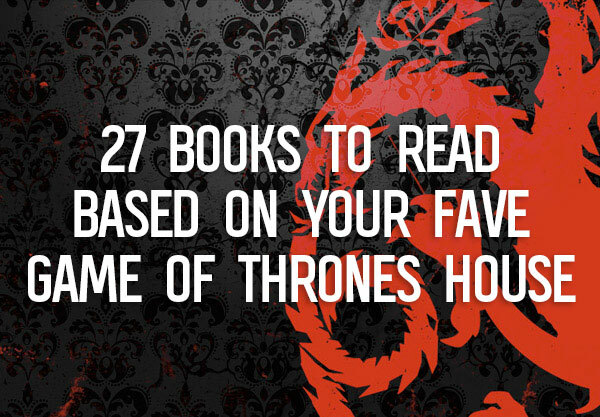 If you haven’t, well, then perhaps it’s time that we enlighten you. It feels like we’ve been waiting to share this book with the world forever, and now the time is finally here. 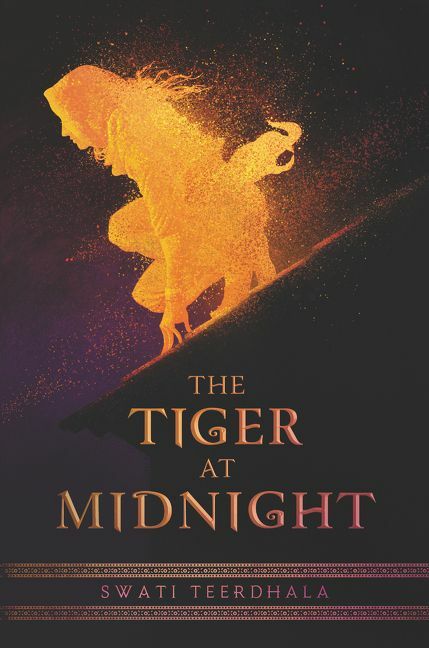 The Tiger at Midnight is an incredible book—entertaining, fresh, romantic, brutal—basically everything you could want in a fantasy novel. And it layers in elements of worldbuilding unlike the ones we’re too used to seeing. Inspired by ancient Indian history and Hindu mythology, this is a story that we can’t believe we’ve needed to wait this long for. But now we have it! Esha is a legendary rebel known as the Viper, doing what she must to survive in a cruel empire ruling over a dying land. But her skills don’t lie in her physical prowess alone. Esha is a brilliant and clever strategist, and getting to spend time in her head was so entertaining. And then we have Kunal, a soldier raised into what he is, who’s never strayed from the path he was set on. So when their cross paths… well, you can imagine that this is quite the place for their story to begin. Once these two embark on one of the smartest cat-and-mouse games we’ve ever read (seriously, all of the intrigue around who’s really pulling the strings will keep your eyes glued to the page) and we’re just going to come out and say it: enemies to loverrrrrs! Esha and Kunal have a rivalry-turned-romance that you need to read so that we can all talk about shipping them together, and this book manages to balance the searing fantasy plot with the burgeoning love story so, so, so well. With pasts behind them that neither are super proud of, legacies urging them to continue on, and a new hope for lives that previously seemed inconceivable, this is a pair that is about to cement their marks in YA fantasy fame. We stan. 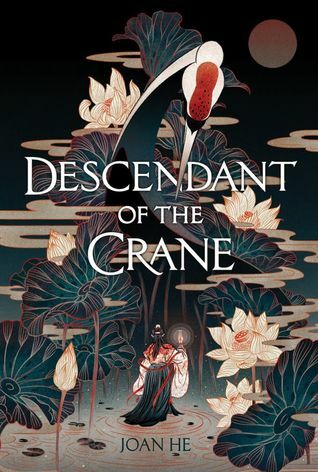 The fact that it was pitched as a Chinese-inspired Game of Thrones really doesn’t do Descendant of the Crane justice. Part murder mystery, part coming of age story, part political drama, and all immersive fantasy, this book will keep you guessing along with the main character as you turn every page. 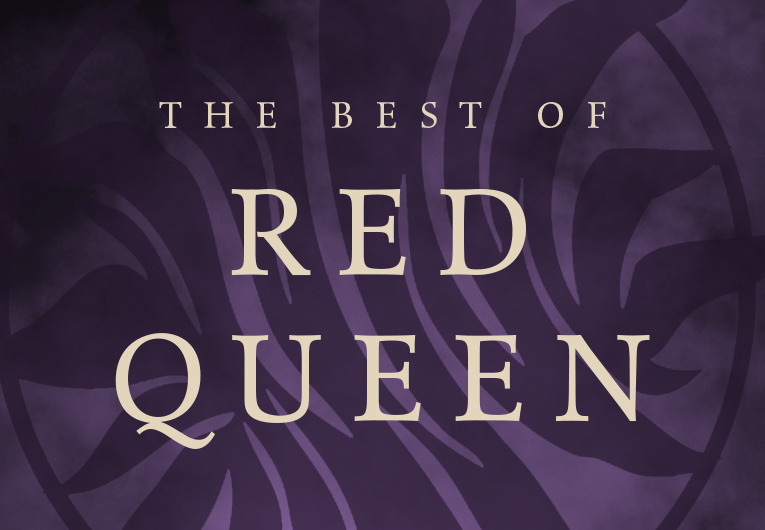 Just like Mare from Red Queen was forced to realize that “anyone can betray anyone”, so too is Princess Hesina of Yan about to learn that she’s surrounded by enemies and nothing—especially what she believes—is as true as it seems to be. Princess Hesina is grieving because her beloved father has died. No one else thinks anything of it, but Hesina is convinced that he was murdered. 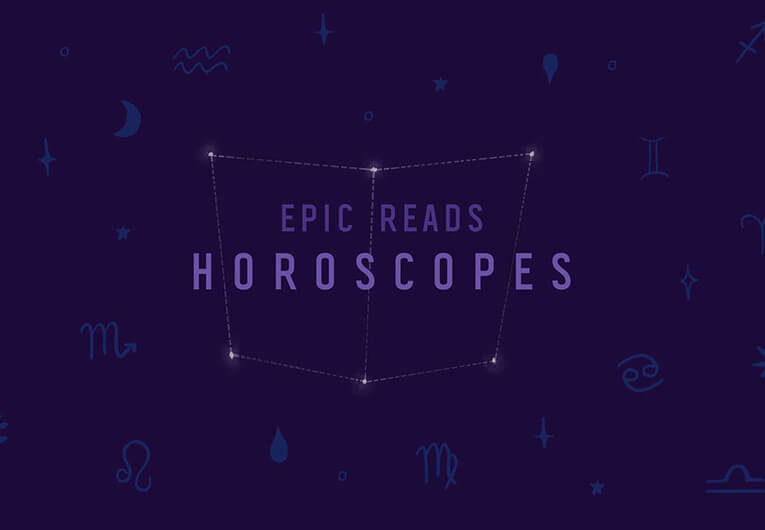 In a court of poisonous lies and dangerous intentions, she is determined to bring her father’s killed to justice—even if that means consulting a soothsayer. Magic was outlawed in Yan centuries ago, but magic may be the only way that the princess can find a clear path forward. That one treasonous act eventually forces her to question everyone and everything that she knows. Everyone in her court seems to want to use her father’s death for their own gain, and Hesina can barely keep her head above water, even with the help of her best friends, Caiyan and Lilian. And even with the help of the mysterious Akira, a convicted criminal she’s led to believe may be the key to finding her father’s killer once and for all. But enemies are on Hesina’s door from without as well as within, as the neighboring kingdom of Kendi’a is poised to go to war with Yan and there are several figures who would like to see that war come to pass. Suffice it to say, Hesina’s got bigger problems than getting justice, and the righteous path becomes increasingly hard for her to keep to as she unfurls the web of secrets and lies at the heart of her royal court. If you like twists and turns, morally grey characters, messy, complex family relationships, Chinese period dramas, and lots of descriptions of delicious food, then what are you even waiting for? This is the book everyone will be talking about—especially once they reach that final page. 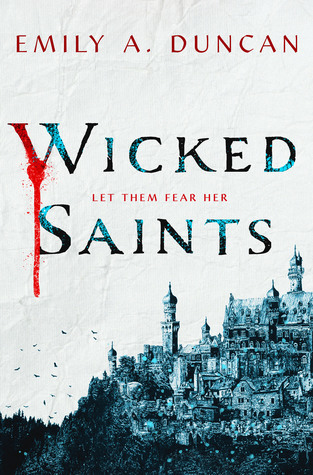 Gods and blood and blessed girls and cursed boys and snark and—yeah, Wicked Saints is pretty much everything you want in a Gothic fantasy. It blends politics, magic, and religion together in a way that force the characters to make brutal decisions at every turn, and the war-torn, wintry setting is painted in a way that keeps you from looking away. There’s a part of us that wants to say that if you can’t wait for King of Scars‘ follow-up, this is the book that you need to read—but that does a disservice to the glorious world that’s very much its own. Wicked Saints follows three main characters through two points of view. The first, Nadya, is a cleric with the ability to communicate with the full pantheon of their gods and goddesses. It’s been heard of for the blessed to hear from one, but even that was ages ago. So, Nadya has been hidden away in a monastery, protected and trained by its priests to one day keep their nation from falling. You can imagine this doesn’t bode well when she’s forced on the run and settles into an uneasy alliance with Malachiasz, a defector whose true ambitions are a mystery. Then, of course, we have the messy, midnight-shaded light of our lives, Serefin. As the High Prince of the nation Nadya’s people are at war with, Serefin is a powerful blood mage with an appreciation for alcohol, a propensity for violence, and a vision of himself on his father’s throne. Though politically he’s on the opposite side of our other main characters, his ambition remains the same: depose the king to ensure his own future. These three are so realistically messy in their high fantasy roles that it’s refreshing to see them come off the page as lively as they do. Of course, it’s not without their own unique bite. And that ending. Is it too early to start counting down to the sequel? What other books are you looking forward to this month? 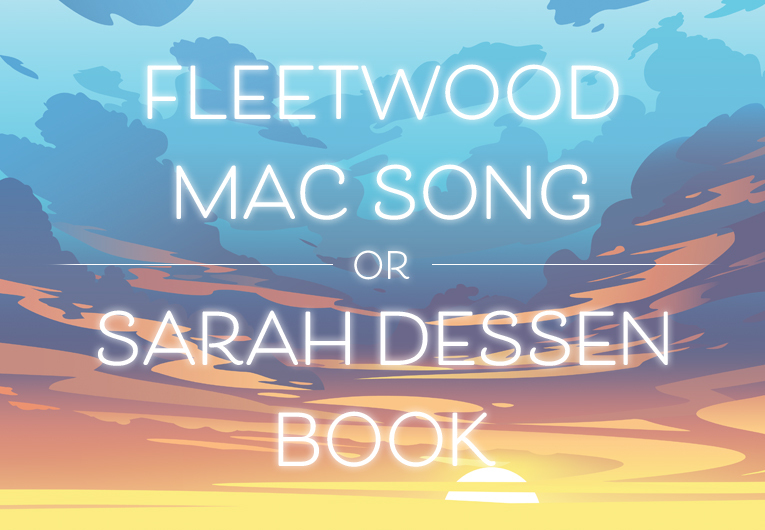 Let us know down below!